It’s time to rejoice! The website is being updated as we speak and we will be rolling out the new changes shortly after the new year. We are modernizing your ability to chat and network as well as optimizing the site for mobile and creating phone apps. My name is Heather Wagenhals and I am the new publisher and Editor-in-chief for the Atlasphere. The Atlasphere founder Joshua Zader created a vibrant community for admirers of Ayn Rand’s work to share ideas and connect with others personally, professionally, and romantically. My job is to enhance your experience while you are here so you have the ability to make meaningful connections. Please update your profiles and send me a message to introduce yourself. I am Heather Wags in the directory. Additionally, if you would like to be a contributor to the Atlasphere, submit your ideas for blog posts here or featured columns here. 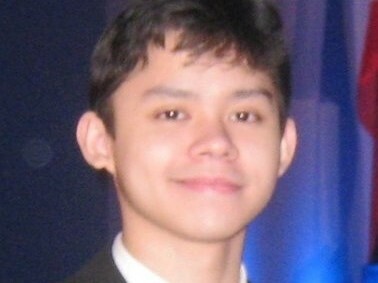 My good friend Joshua Lipana, assistant editor of TOS Blog and a highly valued contributor to The Objective Standard, has been diagnosed with cancer, specifically T-cell non-Hodgkin’s lymphoma, at the young age of 20. Joshua asked me to refrain from making an announcement about this until his doctors gained a better understanding of his situation and prognosis. They now have. Joshua lives in Quezon City, Philippines, and has been in The Medical City Hospital, in Pasig City, for 46 days, undergoing many tests and procedures. He has recently had two sessions of chemotherapy and is scheduled for several more in the weeks to come. His loving mother, Arleen Lipana, has been by his side the whole time. If you would like to email Joshua, you may do so at jlipana@theobjectivestandard.com. But please understand that he may not be able to reply to emails at this time. Joshua does not have insurance to cover the numerous expenses involved in his hospital stay, tests, and treatments, so I will organize a money bomb in the near future to help defray these costs. I’ll let you know when that is underway. Joshua is one of the greatest champions of reason and technology I’ve ever known (see his blog posts for an indication). I hope the values he defends so unwaveringly will enable him to live a long and happy life. That is what he deserves. Biddle has now set up the account to support Joshua’s medical expenses. You can make your donation here. Time.com just published an article about the Atlasphere as well as the Atlas Shrugged movie, penned by Claire Suddath, who spent this week talking with members of our dating service. But then my editor asked me to look into the dating website the Atlasphere, on which Randians can search for their soul mate among fellow objectivists. I didn’t have time to read all 1,200 pages of Atlas Shrugged or even the 680-page The Fountainhead beforehand, so I did what any self-respecting journalist would do: I called up a friend. “Quick, can you explain Ayn Rand’s personal philosophy to me in one sentence?” I asked Fahad Siadat, a professional musician who just finished reading Atlas Shrugged. I know this because he’d cornered me at a dinner party and told me all about it. Which is what people tend to do when they’ve just discovered Ayn Rand. With the incredible popularity of Facebook, we’ve now added a space for Atlasphere members to share direct links to their Facebook profiles. You can add a link to your Facebook profile on the page for editing the general info portion of your Atlasphere directory profile. We welcome your feedback on this new feature. Previously, these features were available only to paid subscribers. There are thousands of member blogs and websites listed in the Atlasphere directory, so this opens up a significant new channel for interaction, even among members with no paid subscription. We hope you find these new features useful and welcome your feedback about this or any other aspect of the Atlasphere. We’ve enabled comments here on the Ayn Rand Meta-Blog, on an experimental basis. For now, they are enabled for new posts, including those from the past week or two. If it proves worthwhile we may enable comments on older posts as well. Let us know what you think … in the comments below. Hans Schantz and I have launched a new blog exclusively devoted to covering the Atlas Shrugged movie, at Atlas-Shrugged-Movie.com. For those not already familiar with Hans, he has done some excellent work already covering the Atlas movie, including interviewing screenwriter Brian O’Toole and creating an excellent Atlas Shrugged chronology, outlining the dates of major events in the novel itself. I’m pleased to have his help covering the movie. The Atlasphere’s meta-bloggers will continue covering any major developments in the movie, but this new blog will become our primary repository for Atlas Shrugged movie news and discussion. Recent posts there include a preview (in text and photos) of the Atlas Shrugged movie, an interview with screenwriter Brian O’Toole, and a post with a link to the new official Atlas Shrugged – Part I movie website (a splash page, for now, enabling you to sign up for announcements). Comments are enabled on this new blog and we look forward to hearing your thoughts as more and more information about the new movie becomes available. If you’re as excited about the movie as we are and would like to join Hans and me as a co-blogger at the Atlas Shrugged movie blog, let me know. Got ideas for improving the Atlasphere? Now that our new site design is (mostly) in place, we’re sizing up our options for additional upgrades to the Atlasphere. And a group of us will be prioritizing these ideas over the coming months. But first, we’d like to hear your ideas: What would you like to see at the Atlasphere? We have over 21,000 members now, and the technical capacity to do almost anything imaginable â?? so in a sense, the sky is the limit. Should we start focusing more on intellectual activism? Make it easy for members to create their own forums? Help members form and publicize local social/study/activism groups? Make it easy to advertise your company’s products or services on the Atlasphere? What features would be most inspiring to you personally? We look forward to seeing your ideas and votes, over at Google Moderator. The Atlasphere will be down for maintenance for at least several hours early Monday morning, starting just after 12:00 a.m. ET. We’ll be implementing a long-awaited upgrade to the site’s design. This site could be down for 6 to 8 hours, though probably less. During this time, you will see a page saying the site is down for maintenance and will not be able to access any other pages of the site.